Why are Warranties so important? Have you ever owned a vehicle and at one point or another had transmission / engine problems or something happen to the drive system? If you have, you are not alone. When something goes wrong that in itself makes things hard, but then having to have it fixed at your own cost which can be THOUSANDS of dollars compounds the issue. So again the question “Why are Warranties so important?” Click the boxes below to find out. As with all great products, you might be skeptical, and we at Kingdom Kia understand this. One of the first things we let our customers know is Warranty Forever is NO COST & NO CATCH. What does this mean? NO COST – No Deductible / Parts & Labor are covered 100% and when you find your perfect vehicle from Kingdom Kia there will be no extra cost added to the final price of your vehicle for our program. We take pride in our vehicles and know they are in great condition which is why this is offered on virtually all our new and used Vehicles. NO CATCH – To keep Warranty Forever on your vehicle all you have to do is follow the manufacturer’s recommended maintenance schedule. It’s not just a Kia warranty or a Kia extended warranty. This powertrain warranty covers any vehicle from us that’s properly maintained. What is covered? 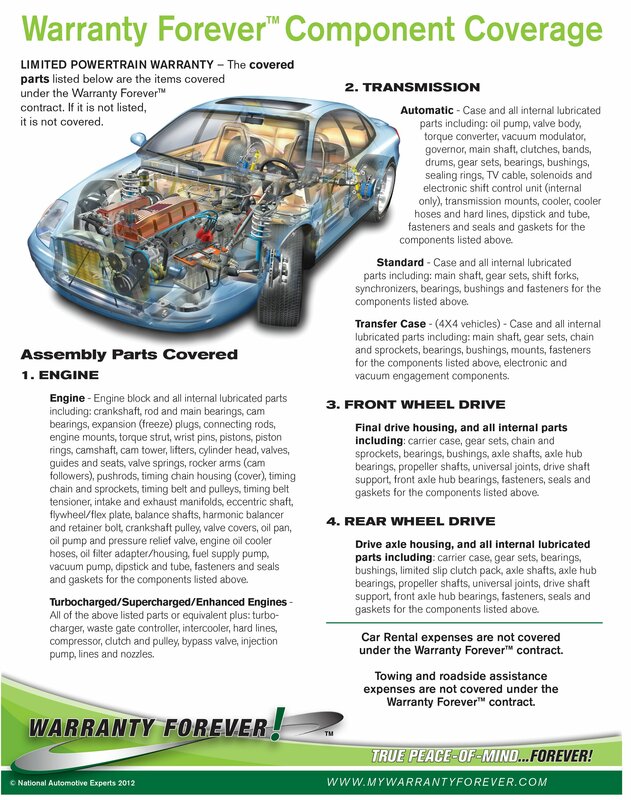 It’s not just 5 or 10 parts of your car; Warranty Forever is so much more comprehensive. Watch the video, and if you still have questions about the program, do not hesitate to contact us. We’re eager to answer your questions about our complimentary extended warranty.